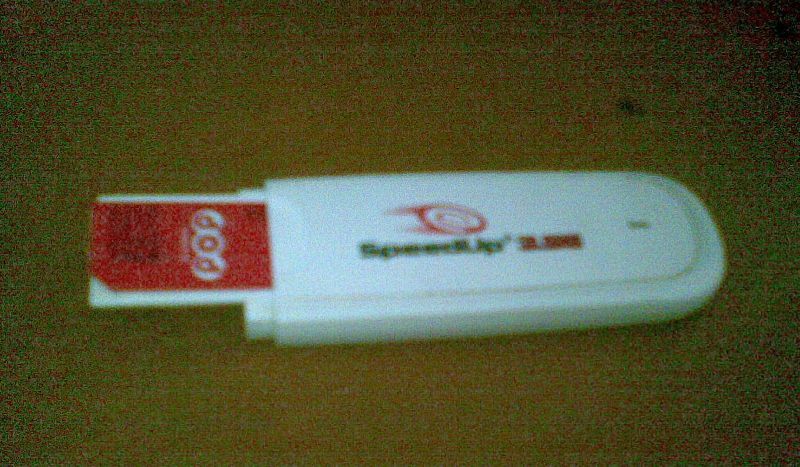 This SpeedUp SU-8650U modem I bought around December 2010. The price when it was around Rp. 500k, with Telkomsel Flash package. Already support HSDPA 3.5G. Driver installer is on the modem, so when the first direct plug installation program started. Please be careful when install simcard, slot only a tiny plastic. MMC slot is at other side. Light indicates the received signal. Green: HSDPA, Blue: 3G, Pink: 2G EDGE, Red: 2G GPRS. 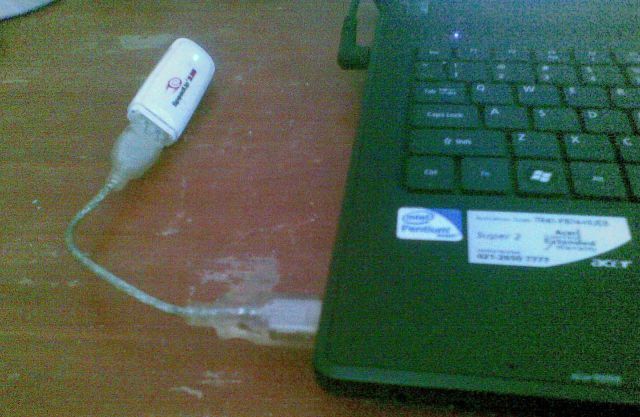 There is USB cable extension in selling package, you should use this cable to avoid the heat of the laptop. Hand over on Telkomsel network service sometimes is not good, so the connection is often broken disconnected. Hand over the point to move from 2G to 3G, or move the BTS in the mobile operator network. Trick: on the Settings Menu (gear icon) >> Network Mode select whether the network HSDPA / UMTS only or GPRS / EDGE only. It's a little complicated, but better than the Internet connection intermittent :). This modem support SMS and voice too, so you may send text and make/receive a calling. There is also a slot for micro memory (MMC), so it can be as a USB modem FlashDisk. Oh yes, a memory card has limitation in limited read / write. So this type of storage is limited on how many times can store data such as 5000x save / delete data, usually every manufacturer on the web site to inform them. Should not choose the capacity that is too large, the above 8GB, and do not use as primary data backup tool or permanent storage. Simply as a tool for easy data transfer only. Because the data stored in the chip, so the risk of data loss is greater than the magnetic storage (eg hard disk).